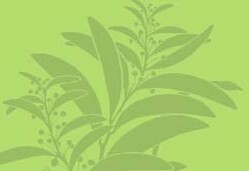 Description: Annual or perennial herbs, often rhizomatous. 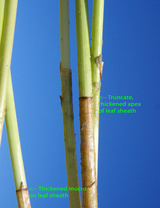 Culms usually tufted, erect or arcuate, terete to acutely angled. Leaves reduced to a tubular sheath often bearing a short erect apical mucro. Inflorescence a terminal, ebracteate, single spikelet, sometimes proliferating. Spikelet terete or angular, rarely compressed, few–many-flowered; rachilla persistent. 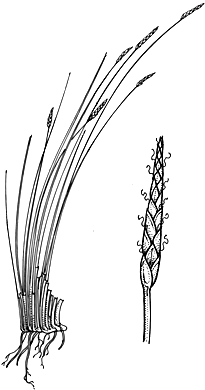 Glumes spirally arranged, sometimes subdistichous, caducous. Flowers bisexual. Hypogynous bristles 6–10, smooth or retrorsely or rarely antrorsely scabrous or toothed, sometimes reduced, rarely absent. Stamens 1–3. Style 2- or 3-fid, usually glabrous, articulated with the nut, the dilated base persistent on the nut. Nut trigonous or lenticular, obovoid, globose or pyriform, sometimes with a narrow neck just below the apex, crowned by the enlarged style base. Distribution and occurrence: World: c. 150 species, cosmopolitan. Australia: c. 30 species (10 species endemic), all States. Some species are used for matting. E. dulcis is cultivated for its edible tubers (Chinese Water Chestnut). The record of the trop. species E. nuda C. B. Clarke from this State (NT) is apparently erroneous. Note: nut length measurements do not include the persistent style base. Treatment based on Blake (1939).